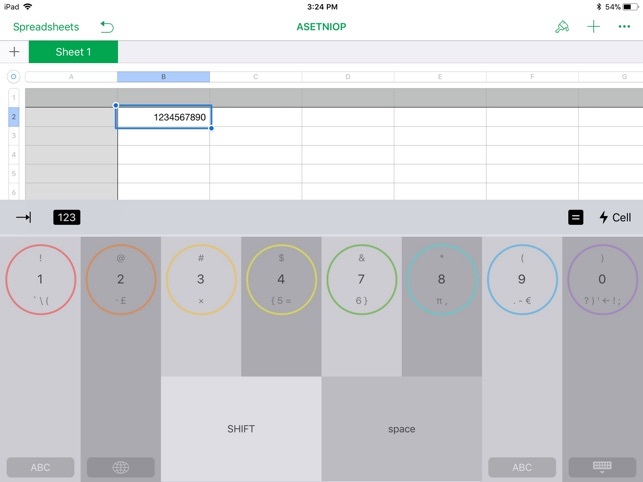 ASETNIOP is designed to make touch-typing possible on any device that can be configured to have ten active keys. 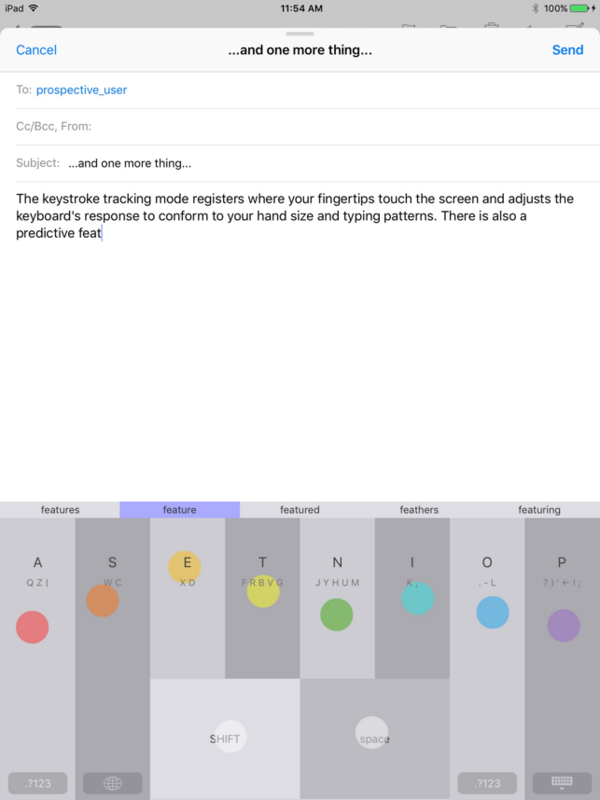 Currently, this includes touchscreen tablets and traditional keyboards, but in the future ASETNIOP will serve as the foundation for typing with emerging technologies like gesture recognition, wearables, and touch-sensitive surfaces. The principle of having exactly ten keys, with one finger assigned specifically to each, ensures that ASETNIOP will remain practical even as input systems continue to evolve. 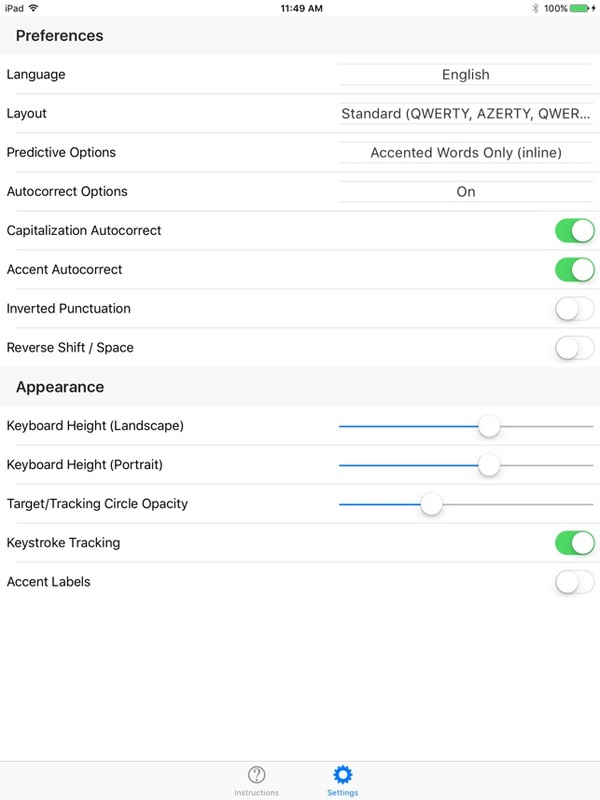 ASETNIOP includes useful features like number/symbol swipes, word predictions, autocorrect, and stenographic combinations. Once proficiency is attained typing speeds of over 100 words per minute are possible. Language modules are available for English, Danish, Dutch, Finnish, French, German, Hungarian, Italian, Norwegian, Polish, Portuguese, Romanian, Spanish, Swedish, and Turkish. 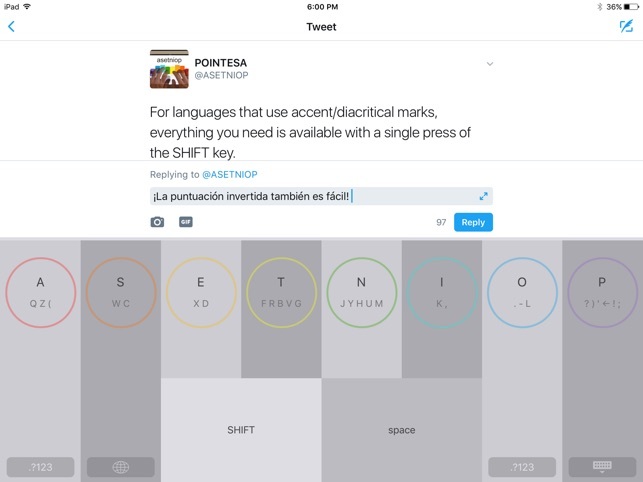 Alternate layouts are available for Dvorak and Colemak users. Added language modules for Danish, Finnish, and Hungarian.